I've put these under a cut, so if you expect to be receiving a card from me this year and you'd like to be surprised, don't read any further. 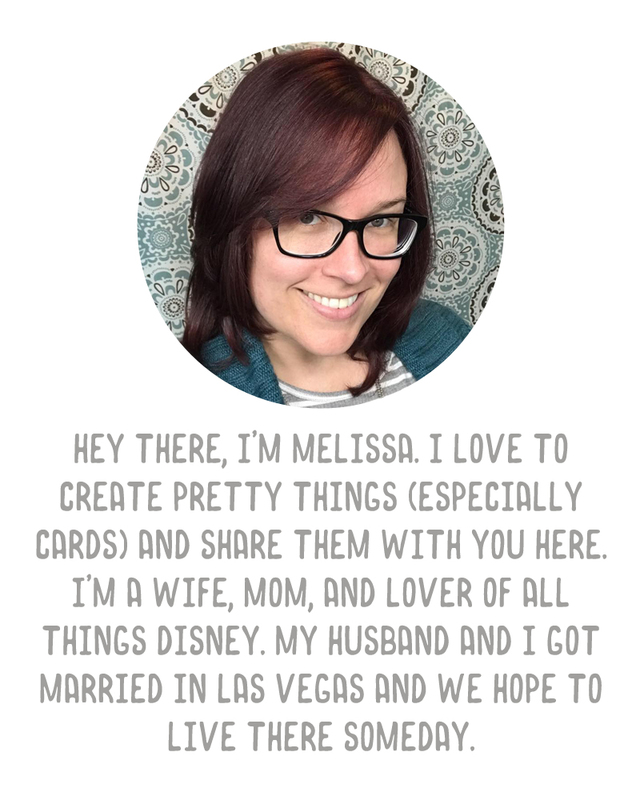 I found this idea on Pinterest and put my own spin on it. 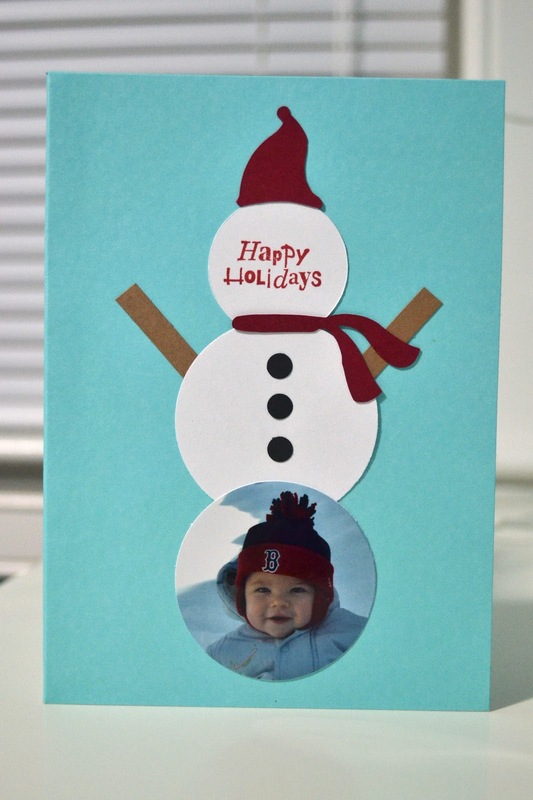 I used a 2" circle punch for the picture and the middle part of the snowman, and then cut a 1.5" circle for the head. The scarf and hat were cut using my Slice Noel cartridge, and I did the arms freehand. The buttons were done with a regular hole punch. 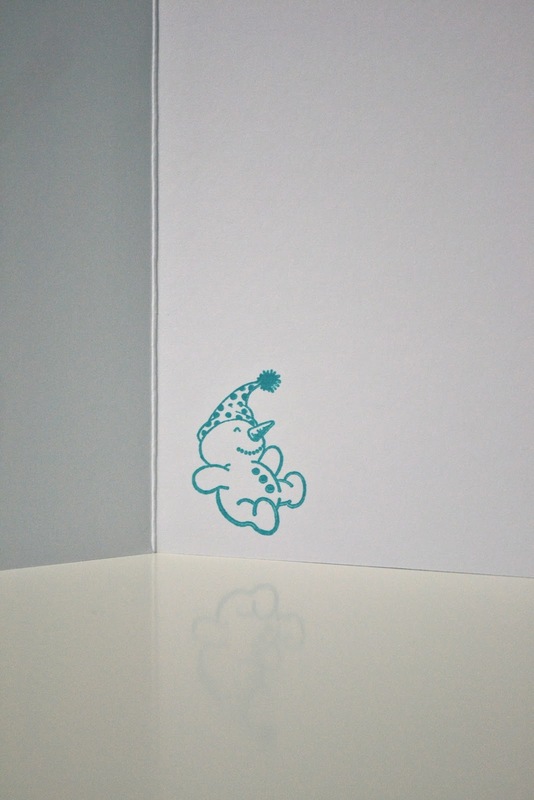 And for the inside, just a happy little snowman stamp. I just started these tonight, hoping to get them mailed out next week.